Our mission is to unite the charitable giving interests of 50M+ U.S. car enthusiasts in order to help preserve car culture. The Foundation’s social media-based donation platform will both raise and channel tax-deductible donations to directly support a variety of car enthusiast-related organizations that work to preserve, educate or promote the culture for future generations. 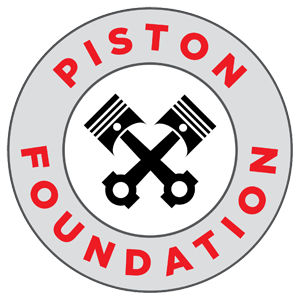 The Piston Foundation has been approved by the Internal Revenue Service as a 501 (c) (3) tax-exempt organization, and all donations are tax-deductible to the extent provided by law. Our EIN Number is 82-4652153.